A committee aimed at increasing the number of women in the Northwest Territories Legislature has released its interim report. There's a lot of room for improvement. The only woman cabinet minister in the government of the Northwest Territories says gender is going to continue to be an issue in territorial politics until women are equally represented in the legislature. "Subconsciously I think people assume men are better politicians, men know more about a lot of areas, and I think they penalize women because of that," said committee member Caroline Cochrane, the minister responsible for the status of women and minister of education, culture and employment. There's a lot of room for improvement in the Northwest Territories. As a special committee of MLAs tasked with increasing the number of women in the legislature pointed out in an interim report released on Tuesday, the Northwest Territories has the smallest percentage of women MLAs of any legislature in the country. Cochrane and Yellowknife Centre MLA Julie Green, both serving their first terms, are the only women in the 19-seat legislature. "Our goal is simple, to increase the number of women sitting in this house so the other half of society is better represented here," said Green, the chair of the committee. On Wednesday the legislature approved seven recommendations aimed at breaking down barriers that can prevent women from entering politics. They include, providing resources to hold more campaign schools for women in more communities, allowing MLAs to be reimbursed for child care expenses and allowing them to take up to four months of leave due to pregnancy, childbirth or adoption without financial penalty. In its report, the committee said efforts such as the N.W.T. Status of Women Council's campaign schools go a long way toward breaking down some of the barriers women face. The workshops offer women instruction about campaigning for and serving in public office. The council is hosting workshops in Behchoko and Deline later this month. Cochrane is a graduate of campaign school. She said she likely would never have run for public office otherwise. She and a campaign team made up of women and family members pulled off a narrow win in the Range Lake riding in 2015, after which she was voted onto cabinet. But early on, even though a cabinet minister, she still sometimes got treated as someone in a supporting role rather than as a leader. "The men will get their hands shaken before me," Cochrane recalled of early visits to communities where people were not familiar with her. "Even male staff will have their hands shaken before they recognize me as the minister." Cochrane said, like most women leaders, she must still deal with unconscious biases many people, both men and women, hold. "Men that are very vocal, loud are seen as very strong, capable. Whereas women are called — I won't use some of the terms they're called — but are seen much more derogatory." More women running in 2019? 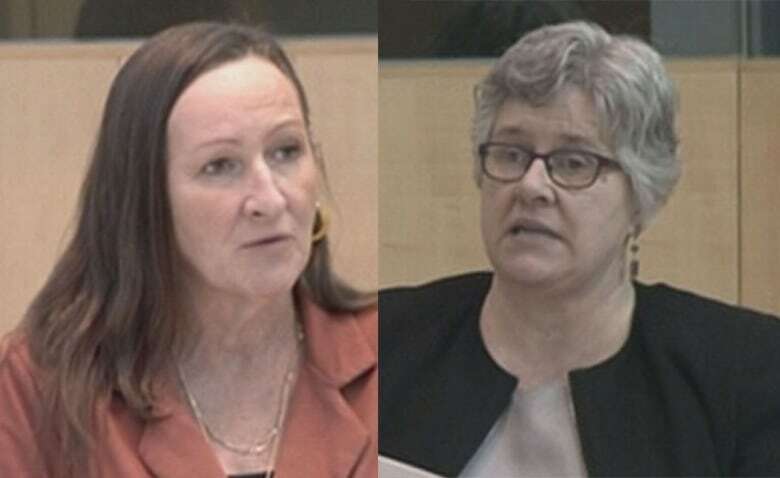 A year ago, MLAs set targets for increasing the number of women in the legislature — to 20 per cent by 2023 and to 30 per cent by 2027. As the committee noted in its interim report, research has shown that women lawmakers tend to focus on social issues, education, health care more than their male counterparts. The United Nations has concluded that a threshold of 30 per cent women representatives is required to bring about significant and lasting policy change. Cochrane's confident there will be a lot more women running in the Oct. 1 territorial election than the nine that ran in the last election. "If we don't get out there in numbers, we will not be equally represented. We're half the population. We deserve a place at the table." The committee's interim report was based partly on input gathered at meetings in Fort Smith, Hay River, Fort Providence, Yellowknife and Detah. In April and May it will be travelling to Inuvik, Tuktoyaktuk, Norman Wells and Behchoko to gather more feedback for its final report.